Depending on who you ask, the Vermont gubernatorial campaign was either decided in November or is still up for grabs. Because no one received 50 percent of the vote, the state Constitution requires the Legislature to choose the winner when it convenes in January. A new ad campaign is starting today that hopes to convince legislators to elect Republican Scott Milne over incumbent Peter Shumlin, even though Shumlin got more of the popular vote. There were eight candidates in the race; most received less than 5 percent of the vote. The leaders, Democratic incumbent Peter Shumlin and Republican Scott Milne, received 46.53 percent and 45.27 percent, respectively, failing to break the constitutionally mandated 50 percent mark. The legislature will therefore choose the governor in a secret ballot on January 8th. 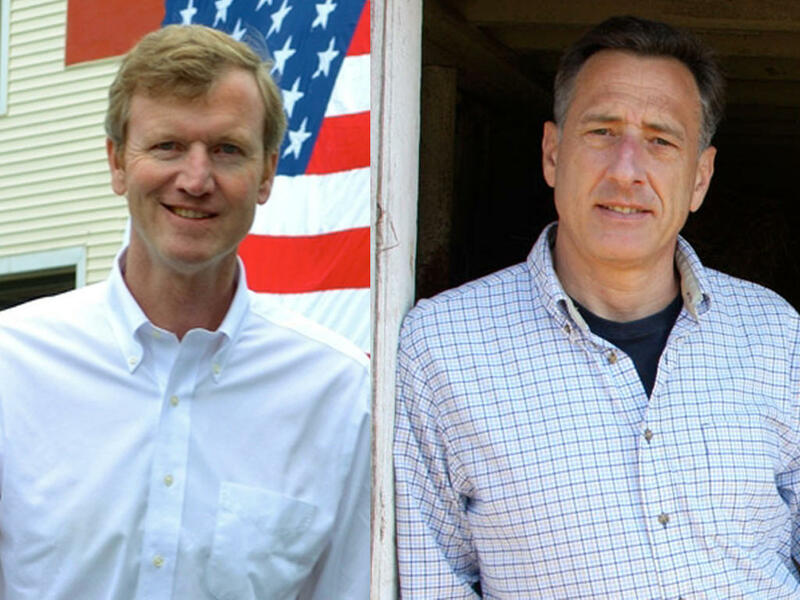 Milne said he planned to contact Round and Vermonters for Honest Government sometime on Tuesday. The second-place finisher in Vermont’s gubernatorial race says he will ask the legislature to elect him governor instead of the incumbent who received more votes. In Vermont’s gubernatorial election, no candidate received more than 50 percent of the vote. The state Constitution requires in such cases that the Legislature then choose a winner when it convenes in January. While at the Statehouse in Montpelier, WAMC’s North Country Bureau Chief Pat Bradley spoke with some of the key players as the legislative vote looms. Vermont Republican gubernatorial candidate Scott Milne is still saying he may ask lawmakers for their votes when the Legislature convenes in January and elects a governor for the next two years. Republican Vermont gubernatorial candidate Scott Milne is not requesting a recount of last week's election results, but he is leaving open the possibility of asking the legislature to elect him in January. But considering party makeup in Montpelier, that’s considered a long shot — and would go against tradition in the Green Mountain State. Vermont Republican legislative leaders say their party members can vote their consciences in the upcoming balloting to choose the next governor.